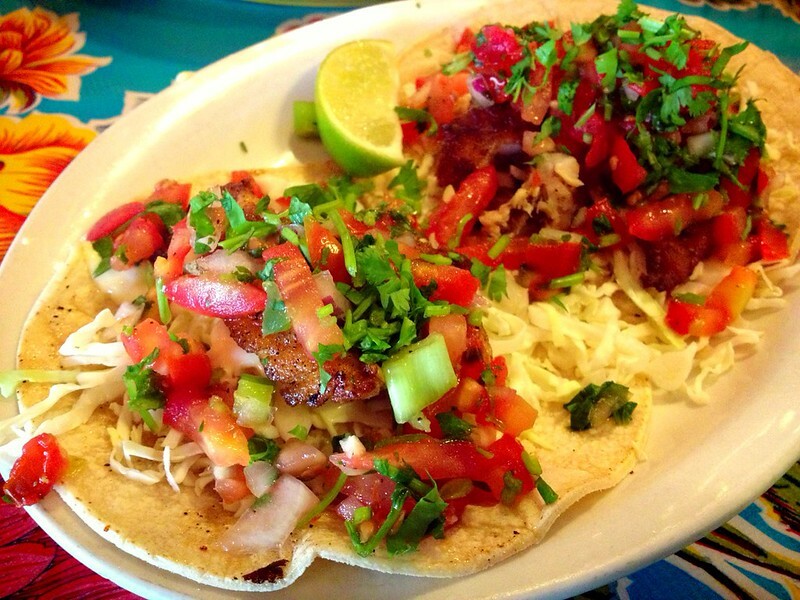 You may not know it, but I have a serious love for fish tacos. I don't know why, but on any given day I can easily sit down and enjoy several of these beauties. Even after eating amazing food around the world, a simple fish taco with a cold drink and a friendly conversation is hard to beat. 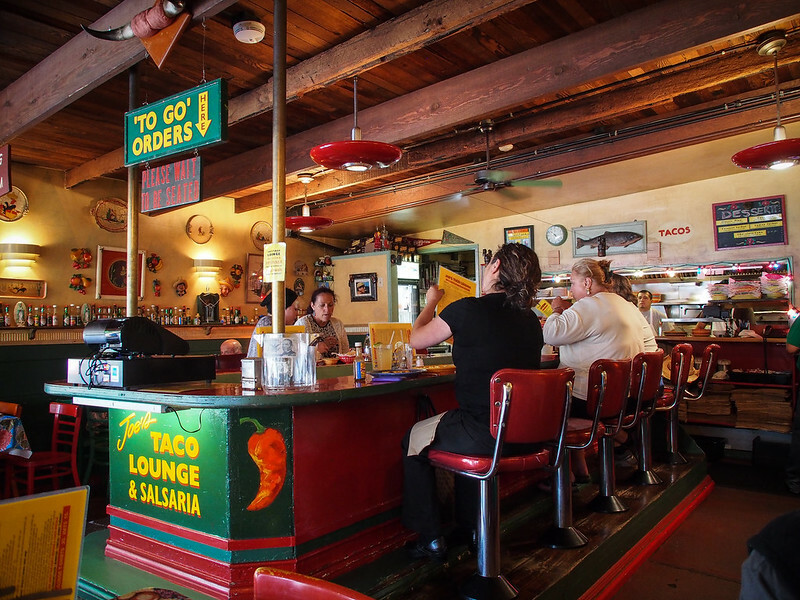 Last week my buddy Matt took me to Joe's Taco Lounge in Mill Valley, California. He promised me that it would be one of the best fish tacos I'd ever have. He was right. It is a small joint on a nondescript street. You'd drive by it unless someone told you to stop. Even after you stopped you might look at it and worry that it was another overly colorful Tex-Mex wannabe and keep on driving. You walk in and the smell hits you. Spices, oil and a busy kitchen at the back of the restaurant. 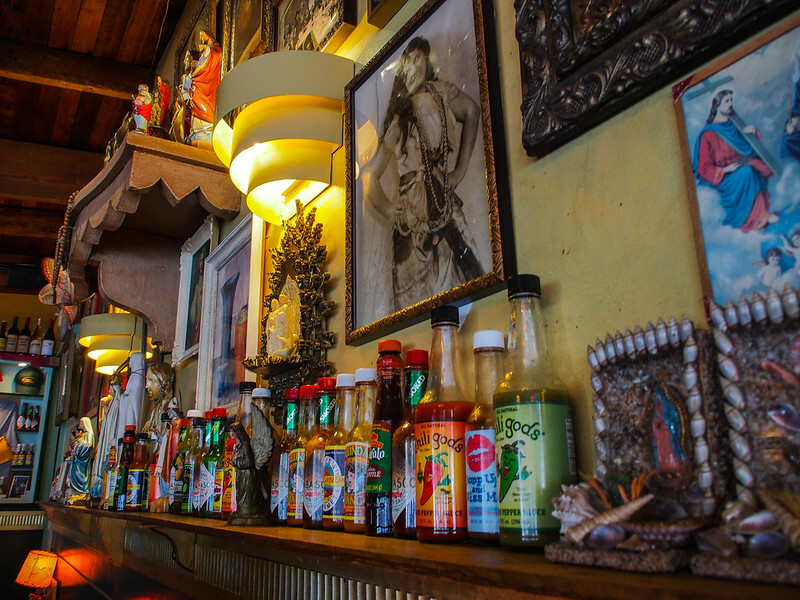 All around you are religious artifacts, photos and a cornucopia of hot sauce bottles line the walls ready to be used by any who crave it. Directly in the center is a horse shoe lunch counter with the cash register at the helm ready to help the to-go customers who might pass through on their way to the beach. The menu is much larger than would be expected. Filled with every sort of taco you can imagine and plenty of other goodies including fried plantains (another favorite of mine). The fish tacos lived up to the hype. The first order arrived and I was disappointed to see the red snapper was fried. Yet, the mix with black beans made for a killer combination and when adding a bit of the special rattle snake sauce & mayo mixture to them that Matt mixed up they were even better. We were hungry from the open road so we ordered another round. I had to try the grilled ones since that is my preferred way to have a fish taco. I'm secure enough in my love of food to say that the foodgasm I experienced upon biting into the grilled snapper fish taco was simply amazing. Better still was looking up and seeing Matt angry as he enjoyed his first bite. After years of only eating the fried ones, a mistake by our waiter lead him to realize that the grilled ones are where its at! For now, the best fish tacos I've ever had can be found at 382 Miller Avenue in Mill Valley. Not sure if I'll ever get back there, but you should make a point to get there.